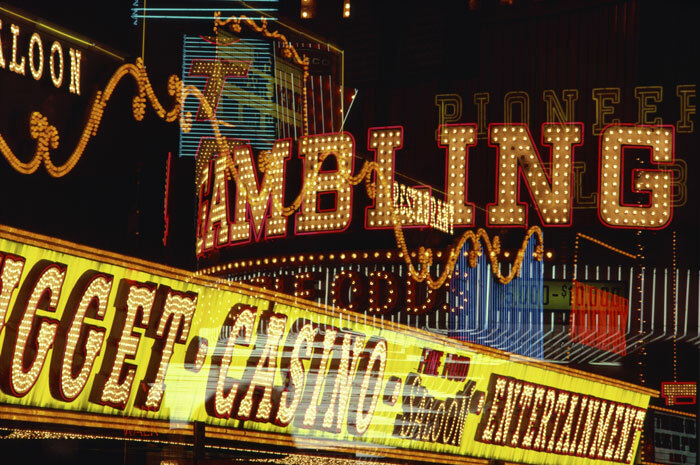 How many horror stories have you heard about parents leaving their kids in the car so they could enter a casino? If you don't have a loved one who gambles you may see these stories and think how the hell could anyone do that - gambling isn't even an addiction right? To those of you who feel like I could be talking about them (or your situation) you know all too well - gambling is an addiction. When we hear 'addiction' we automatically think of drugs/alcohol (or both). I know I do anyway. 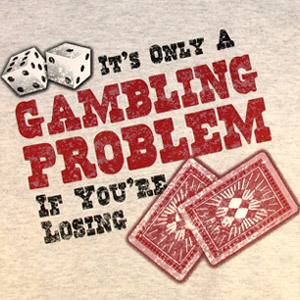 There is an endless list of addictions that take over families, break marriages, going bankrupt to support a drug habit, etc.. Gambling is high on that list and every example above happens all the time. Obsessed: Practically everything they talk about, plan, or daydream is focused on gambling. Example - When they haven't even gotten home from a casino and they're planning their next trip. Or constantly talking about how to get more cash to gamble with. Attempting to stop (but unsuccessful): a troubled gambler tries to stop by them self but can't get a hold of it all. Much like drug addicts the gambler can become aggravated, can't sit still, temper becomes out of control during the attempts to stop. A form of escape: when a person is addicted to gambling it can seem like they get a major thrill from it all. However, like any addiction it's pretty common to use it as a way to numb themselves from a pain or a loss they had suffered in the past. Lying: making up stories to family/friends about how much money they lost/spent. Lying is actually a real red flag of a problem gambler. Alienation: when the person starts to distance them self from all that is important, such as family or loved ones. This is also a real red flag in itself. No matter how much distance they have created they just can't see how close they are to losing it all before it's too late. Don't lecture them - when someone gets on their soap box and starts yapping like they're superior to you the first thing that happens is what? Yea, blah blah blah, you're tuned out. Try to keep your anger in check. No matter how tempting, do not threaten them with an ultimatum unless you are 100% positive you'll actually carry it out. Do not bail the gambler out because you'd obviously be sending the message that they can keep messing up because you'll be there to put them back together. Don't ever try to minimize their problem to family members or friends. It may be easier to lie so you don't have to go into detail but you would be enabling the gambler and making it worse. If you have a loved one in your life that you feel has a problem, just like any addiction in the world, there is help. If you live in the US you can call toll free 888-424-3577 to find support group locations for your area. Don't ignore your gut - your loved one may need your help. The Gamblers Anonymous website has an extensive list of support groups (as well as a ton of valuable information). What makes this list even better is 1) it is an international directory 2) they offer 'closed meetings' for individuals with the gambling problem and 3) they have 'open meetings' for spouses, friends, and family of the gambler. Unfortunately this problem is not limited to Las Vegas, technology brought the casino games with their real money games to our homes via internet. Fortunately, statistics shows that online gambling is not as addicting as the real casino experience and the ban on online gaming by G.W. Bush saved billions of dollars for americans.